After a toddler was attacked and killed by an alligator near Disney's Grand Floridian Resort, the Orange County sheriff said something like this had never happened before at Disney World. A New Hampshire man says officials from the resort are hiding the truth. Paul Santamaria was 8 years old when he was visiting Disney with his family. He explains how he and his siblings were playing near a pond when an alligator attacked. "It came up out of the water and hit me and knocked me to the ground. And once I was on the ground, it kind of turned its head and grabbed my leg," Santamaria told WBZ-TV. He says he remembers screaming for his siblings, who helped attack the gator until Santamaria's leg was freed. The family was at Disney's Fort Wilderness Resort, which is about three miles from the Floridian where the toddler was recently killed. On Thursday, the medical examiner's office said the boy, Lane Graves, died of drowning and traumatic injuries. As for the attack on Santamaria, he doesn't blame Disney. "It's nobody's fault. Anything can happen at any time," Santamaria told WBZ-TV. 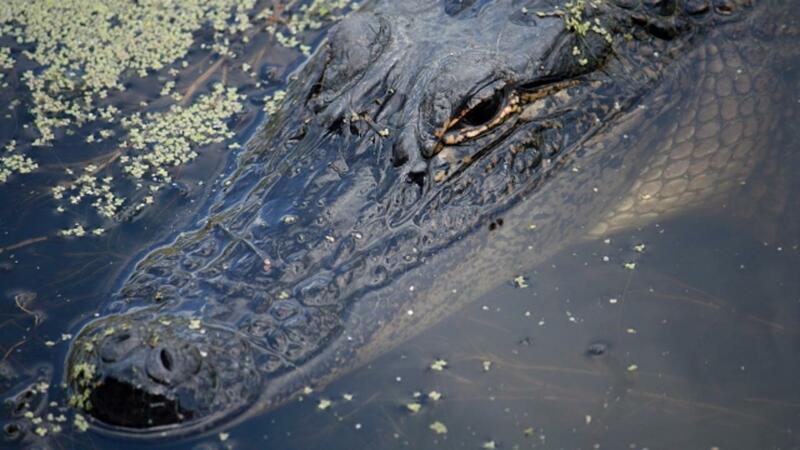 Officials are still searching for the alligator that killed the young child, and so far they've removed six alligators from the lagoon where the he was attacked. Disney is reviewing its signs around the park's ponds and lakes.